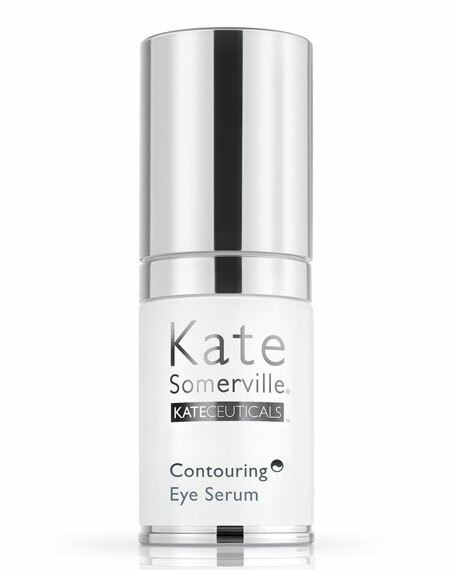 Contour, lift and firm the delicate eye area with Kate's powerful, lightweight anti-aging eye serum. 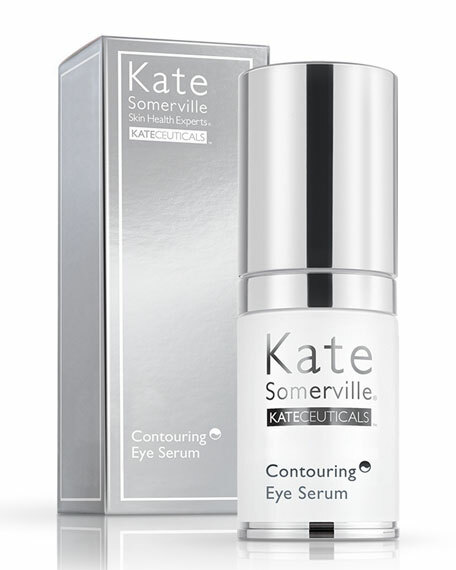 Formulated to counteract the visible signs of aging around the eyes, this technologically advanced eye serum can be used on both the upper and lower eye lids to target dark circles, puffiness, lack of elasticity and firmness, volume loss, uneven texture, fine lines and wrinkles. Anti-Wrinkle Peptides help relax muscles around the eyes while a Purified Microalgae Extract provides an instant, visible tightening effect. The lightweight texture absorbs quickly to hydrate and smooth skin for a more youthful appearance, instantly. A proprietary complex of ADVANCED ANTI-WRINKLE PEPTIDES helps relax muscles around the eyes and reduce the appearance of crow's feet and fine lines caused by repeated facial expressions. 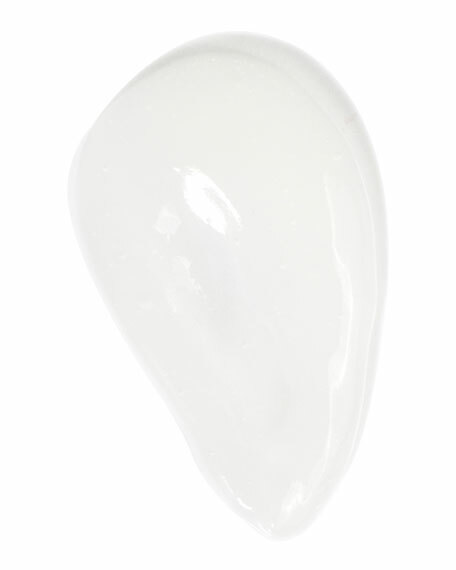 Purified MICROALGAE EXTRACT provides an instant tightening effect to help lift sagging eyelids, and firm and strengthen skin's connective tissue over time. A prized AYURVEDIC BOTANICAL, Commiphora Mukul Resin Extract, combined with SODIUM HYALURONATE produces a volumizing effect to plump and contour the skin. A SOYBEAN LIPID-CERAMIDE 2 COMPLEX repairs the delicate lipid barrier while naturally replenishing moisture content to keep skin looking smooth and supple.